The Renault Zoe is Europe's top-selling EV. PARIS -- Renault, a pioneer of electric cars, says mainstream acceptance of EVs is reaching a tipping point and it welcomes increasing competition as European rivals such as Volkswagen and Opel push harder into the market. In 2011, the Renault-Nissan alliance set a goal of selling 1.5 million zero-emissions vehicles by 2016. CEO Carlos Ghosn admitted in 2013 that the target would not be met, saying it would take an additional four or five years. Last year, the alliance reported global EV sales of 94,265 and a cumulative total of 424,797 units. Gilles Normand, Renault's head of EVs, said the automaker's overall EV sales figures were "moderate" but added that what is important is that overall investment in electric vehicle technology and infrastructure continues to be robust. "The point is to keep deploying this technology and investment. 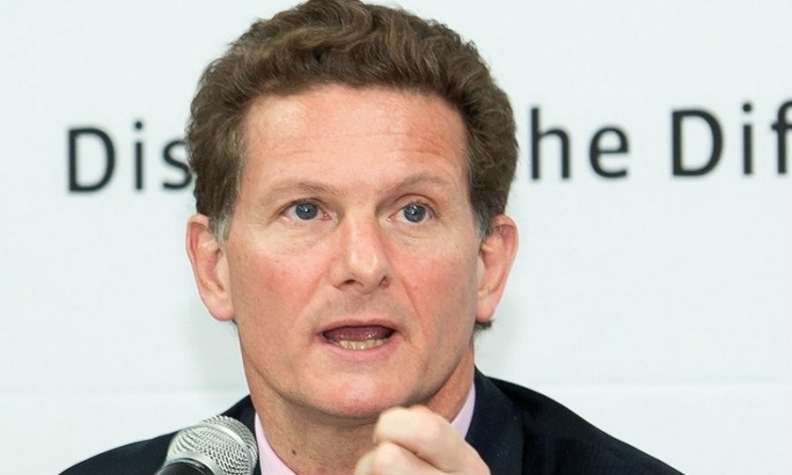 The more that companies spend, the larger the market," he told Automotive News Europe in an interview. "We are reaching the tipping point now that we have more range. People can go beyond commuting and make more and more long distance trips." That competition is most likely coming sooner rather than later. Opel is rolling out this spring its Ampera-E hatchback, a sister car to the Chevrolet Bolt, for which it claims a 500-km range, under the NEDC European testing cycle. That beats the 400-km top range of Renault's and Europe's top-selling EV, the Zoe. Volkswagen Group is accelerating its plans to bring purpose-built EVs to market and in a few years, the automaker's VW, Skoda and Seat brands will be introducing volume EVs underpinned by the company's dedicated MEB modular architecture for electric vehicles. Normand, a veteran of nearly 30 years at Renault who started in his post on Jan. 1, is optimistic that the EV market is ready to make a leap forward. Studies that show that 40 percent of car buyers are ready to consider a battery electric vehicle as their next car, up from 10 percent five years ago. Normand also sees the longer range of its Zoe as a tipping point to winning mass-market acceptance of EVs. 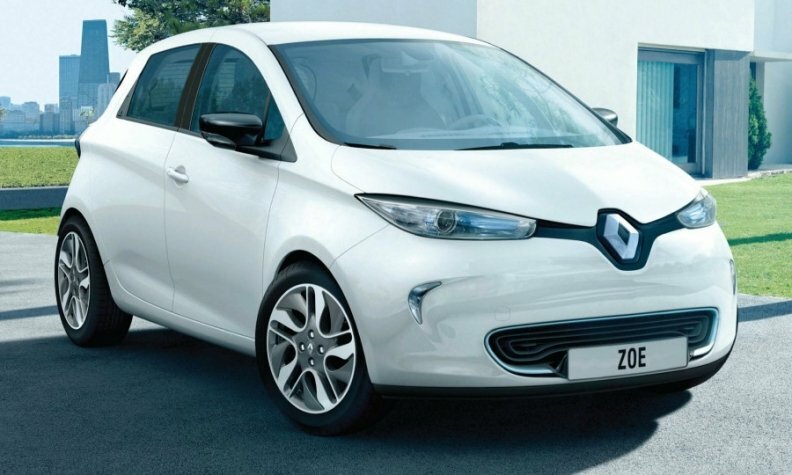 Renault launched an updated Zoe in October with a larger 40 kilowatt-hour battery that boosted the car's range to 400 km under the NEDC cycle and 300 km in real-word driving. Renault has taken 15,000 orders for the extended-range Zoe, Normand said. A driver using the older, 22-kilowatt battery Zoe would be thinking, "OK, I need to recharge. Where is the plug, at home or at the office?" Normand said. "Now, 300 km means you can use your car to commute every day and need to charge it just once a week." Still, EV range remains "a work in progress," he said, noting that buyers will expect parity with internal combustion engine vehicles, and that means 400 km to 600 km in real world conditions. "It's not going to happen tomorrow," he said. Normand: "The more that companies spend, the larger the market." Normand said the light-commercial vehicle market was a natural fit for EVs. Renault will launch sales of a Kangoo Z.E: car-derived van with a 33-kilowatt-hour battery and a real-world range of 200 km mid-year, followed by the Master Z.E. heavy van toward the end of the year. Most Kangoo Z.E. sales so far have been to fleet customers, including the French postal system, but Normand said small businesses that needed access to city centers would be steered toward EVs by impending diesel restrictions pushed by mayors or local authorities. "You're a small company, an artisan, living in the suburb of Paris and you need to make a delivery in the center of Paris," he said. "The only way for you to make it soon will be with an electric vehicle." Beyond concerns such as range and the number of charging stations, Renault is exploring how EVs can interact with the clean energy infrastructure. Normand cited a pilot project in which batteries that have reached the end of their automotive life (typically when only 75 percent of charging capacity remains) are repurposed to store solar energy for structures like office buildings. Another project in the works, in collaboration with companies in Germany and the Netherlands, is a development in what the company calls smart charging. At the end of the workday, for example, EV owners could return unused kilowatts to the power grid and receive reimbursement from electricity providers. Their vehicles would then be automatically recharged overnight at off-peak prices. Asked if Renault thought the next phase of zero emissions vehicles would be powered by hydrogen fuel cell technology, as championed by Toyota, Normand said Renault was committed to developing electric vehicles. "Electricity is everywhere, we know the technology, we are developing it, we are mastering it," he said. "In 10, 15 or 20 years, other forms like fuel cells may be a possibility, but I know the solution that is available now, which is EV." "This is going to last for the next 10 years, without any doubt," he said.